HARTFORD, Conn. -- After the 2012 school massacre in Newtown, Connecticut, police officials not involved in the investigation and "dignitaries" were allowed into the building and potentially contaminated the crime scene by stepping on bullet casings and glass shards that had yet to be processed as evidence, according to a report state police released Friday on their response to the mass shooting. The long-awaited report concludes state police handled the response effectively, but it recommends improvements to protecting crime scene integrity, dealing with victims' families and other issues. A 2013 report on the response by Newtown police said that department responded rapidly and followed policy. Gunman Adam Lanza killed his mother at their Newtown home before shooting his way into Sandy Hook Elementary School on Dec. 14, 2012, and killing 20 first-graders, six educators and himself. Investigators never found a clear motive but said Lanza suffered mental health problems and was obsessed with mass shootings. "The unprecedented nature of this incident posed numerous challenges," the state police report says. "The unique dynamics of this tragedy tasked the agency's resources and tested the capacity and capabilities of individuals and units alike. ... Had it not been for the heroic actions of the teachers, school staff and the response force, the number of victims could have been higher." The report does not specifically address why it took five years to complete. Other "after-action" reports, including those written after mass shootings at an Orlando, Florida, nightclub, the Washington Navy Yard and a building in San Bernardino, California, were finished about a year after the killings. 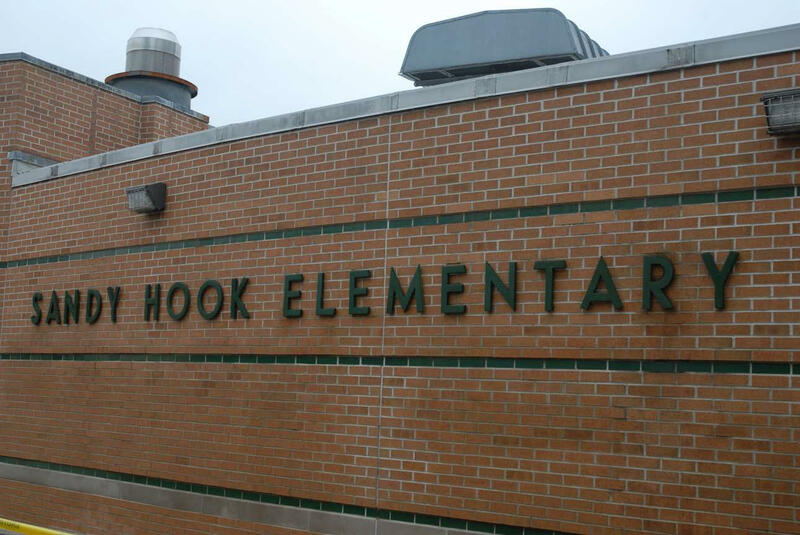 The delay in the Sandy Hook case is unusual, John DeCarlo, a former police chief who is a professor of criminal justice at the University of New Haven, told CBS News reporter Graham Kates last month. "In any of the instances that I have ever heard of, when something like this happens, and there's a major incident like this, there is an after-action," DeCarlo said. "Now when you ask is five years a long time? Yeah, that's a real long time." Former State Police Col. Danny Stebbins, who before his retirement in 2014 oversaw the investigation into the Dec. 14, 2012 shooting, told Kates in December that a draft of the after-action report was completed at least two and half years ago. A spokeswoman for the Connecticut State Police confirmed at the time that a draft was completed, but that it had yet to be cleared by commissioner Dora Schriro. The spokeswoman said the agency wasn't able to give a timetable and didn't provide a reason for the delay. The document recommends that future reports be completed by an outside entity and released in phases to ensure a "rapid dissemination of lessons learned in tactics and response," while leaving longer-term procedural issues for future updates. The report also recommends that "appropriate agency resources and support are allocated to the completion of a thorough and timely" report. "Some personnel indicated they were aware of the (report) process but felt reluctant to contribute," it notes. One recommendation is to limit crime scene access to authorized personnel. The report says "uninvolved" state police command staff, members of outside agencies and "dignitaries" were allowed into the school in the hours and days after the shooting, potentially contaminating the crime scene and "unnecessarily exposing personnel to the disturbing scene." "Relevant evidence was stepped on, including bullet casings and glass shards, which had yet to be processed and properly documented," the report says. The report also recommends training and developing a checklist for notifying families of the deaths of their loved ones. In Newtown, troopers notified the families of the victims "professionally and with compassion," but some mistakes were made, the report says. In one case, a trooper did not know the correct relationship between a victim and the family member he was notifying, it says. Establishment of a statewide family liaison program also is recommended. After the school shooting, family liaison officers were assigned to each victim's family and were critically important to coordinating resources to the families, the report says. Michele Gay, whose daughter, Josephine, was one of the 20 children killed, said she hopes state police learn from both what they did well and what they were not prepared to handle in the aftermath of the tragedy. She said her family and others appreciated being assigned a trooper to act as a liaison who kept them informed and relayed their needs to authorities. But, she said, it was clear there were no protocols or procedures in place for handling this type of situation. "We were very fortunate that they were such principled, trustworthy and loyal individuals that we were working with at the state police," she said. "But I feel a lot of them look back and wish they didn't have to be making it up as they were going along, that they had more mental health support in terms of how to communicate with families and deal with land mines that they might encounter." Gay said it was "heartbreaking" to hear about problems with the crime scene access, including the bullet casings being stepped on. "Those things have to be part of planning ahead of time, so it's not even a question or decision to make in the middle of chaos," she said. The report urges state police officials to consider mandatory counseling for major crime detectives and other personnel who regularly deal with traumatic situations. A state police spokeswoman said many of the recommendations already have been implemented or are being implemented.